NEW FLEX Cordless 3401 aka the FLEX Cordless BEAST! 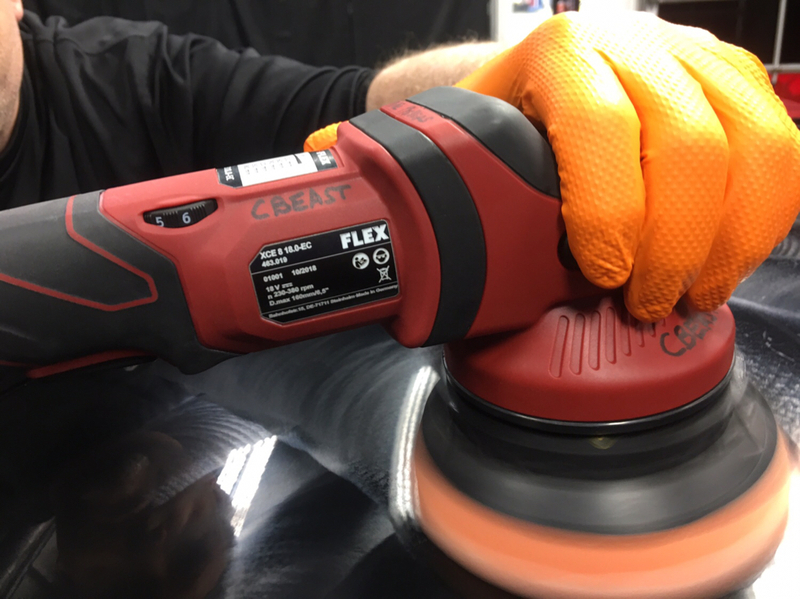 Thread: NEW FLEX Cordless 3401 aka the FLEX Cordless BEAST! Re: NEW FLEX Cordless 3401 aka the FLEX Cordless BEAST! Sweet! Will be getting one of these down the line for sure! I love my Flex and a cordless one would be super sweet! Well I see you did win a prize! Yes, hard work over the years and earning the trust of Bob and everyone at FLEX pays off. Note the word pays is plural, I didn't use the word paid. The future is looking bright. The FLEX crew and Bob know you well, it will get lots of use and get an honest opinion on the performance. My test car has arrived. It's really dirty. We may use it in some videos we're shooting tomorrow and if we do it will get washed. I'll wait and see if we use it before taking pictures because right now there's so much dirt on it that it's hard to see the holograms and what looks like either a few tracers or RIDS. FLEX has pushed up the 'bar' for the competition on forced rotation units! At this time there are 2 camps. The good news is at least there's choices. Of course, that can just lead to more complaining. Use to be guys would complain there were not enough tool choices now they complain there's too many tool choices. Damned if you do, damned if you don't. Have fun and hope to try it in 2019. Jeff Brown will be here tomorrow, I'll tell him you say "hello"
Wow, that is awesome Bob gave you #1 Mike, what an honour & a worthy recipient indeed. Thank you. I will treasure it above all the other tools in my collection. I had wondered if this CBEAST was still in the pipeline, it had gone quiet with any mentions of it. Us Kiwis only started getting the Cordless XFE15 150 a couple of Months back (I believe I had the first two in NZ . . . okay, one belongs to Ange, she wanted her own one after using mine.) & I am very pleased with its performance to date. Such a sweet feeling tool in hand, the build quality & balance is typical Flex - beautiful. Totally agree and the people in my classes love using the cordless version of the Finisher. Thank you for the review Mike, congratulations on the new additions to your collection & big props to Flex for not only producing brilliant tools but for recognising the asset i our industry that is Mr Mike Phillips! Was shooting video all day today in the garage, yesterday was all day packing, Monday I'm writing new product reviews so I'm hoping on Tuesday to test drive the new CBEAST! Mike I hope Flex will offer the Cordless 3401 as a bare tool as well as in a kit. I for one have 2 chargers and 6 batteries from the 2 Flex cordless tools bought earlier this year. For those of us that already have bought kits a bare tool option would make the tool more affordable. I will send the link to your post above to Bob so you can rest assured he will see your suggestion. And that my friend, is the power of a well run forum and your forum friend. 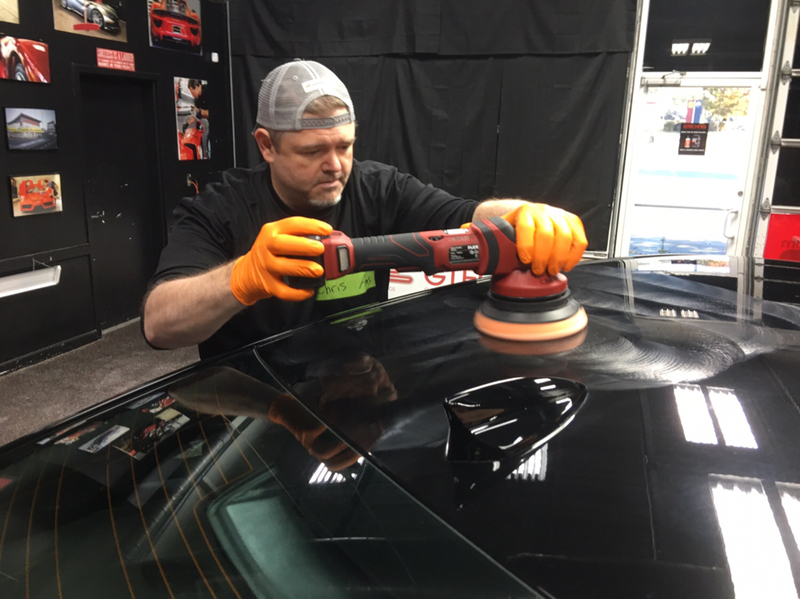 For all of you attending next week’s Roadshow Car Detailing Class in Atlanta... you will be the FIRST Detailing class to get to use the Cordless FLEX! Pictures & Comments - Atlanta, Georgia Roadshow Class! Here’s Chris using the CBEAST! Click here to view the original image of 1024x767px.